Blessed with eight legs, Sarah the Spider is a dancer extraordinaire. 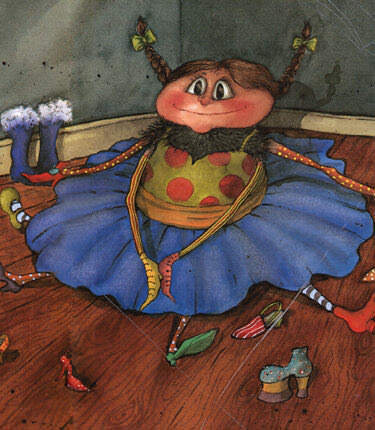 She wears bows in her hair and eight different coloured boots. 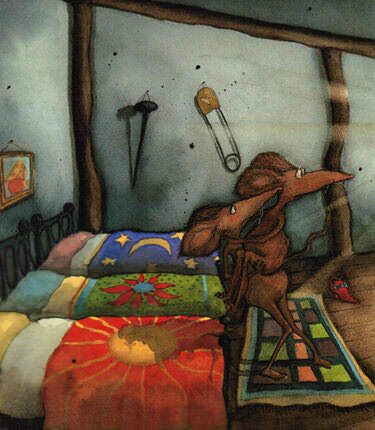 In this story she falls prey to the mischievous activities of the other farmyard animals. 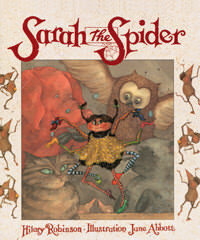 The Sarah The Spider series was written to help my daughter cope with a fear of spiders. 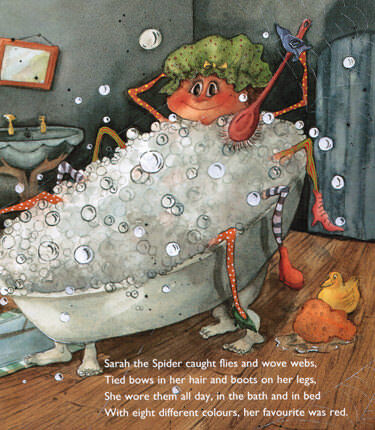 I couldn't find a book about a friendly spider so I wrote one in rhyme, like a nursery rhyme. This poetic form is called 'doggerel'. People ask if she is still scared of spiders. She is! But not the little ones.